We ventured off into the Angeles National Forest last weekend and woke up to this guy eating his breakfast… so we decided to brew some coffee and join him! Oh… camp life is great!! Wow! That had to be thrilling. I have only seen them in captivity. Great wild photos! I lived in the mountains above Palm Desert. There were 2 times in 20 years that I saw them as I drove the road down to the desert. They were just standing there, on the other side of the guard rails and then they just jumped down somewhere and disappeared. 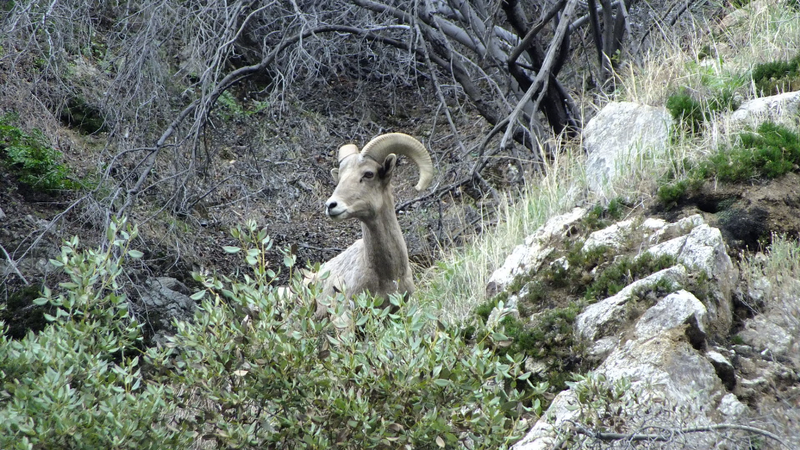 There was a man who lived near us and he often took off for days and would come back with the most amazing shots of big horns or cougars or bobcats along with many shots of rattlesnakes and coyotes. Great pics, thanks! Wow, what luck! I would love to spot them in the wild.